A New Mexico woman who became ill with flu-like symptoms after returning home from West Africa earlier this month is now under quarantine at an Albuquerque hospital where she is being tested for the Ebola virus. Authorities at the University of New Mexico Hospital say that it's unlikely that the unidentified 30-year-old woman, who worked as a teacher in Sierra Leone, is infected with Ebola. But given the disease's nearly 90 percent mortality rate they say they're acting out of an abundance of caution. "Returning from overseas with a fever could be a lot of things," said UNMH epidemiologist Dr. Meghan Brett. "It could be routine." Hospital officials say that the woman did not have any known exposure to the virus while she was in Africa, but they have sent a sample of the woman's blood to the Centers for Disease Control in Atlanta for analysis. The results should be available by the end of the week. "There really isn't a risk to the public at this point," Dr. Robert Bailey, associate dean for clinical affairs at the University of New Mexico's School of Medicine, told the Santa Fe New Mexican. "The risk of Ebola is not having the patient in the hospital — being in a situation like the folks in Africa are experiencing right now with folks getting sick in rural villages and nobody recognizes it." The virus cannot be spread through the air, but through direct contact with contaminated bodily fluids and objects. Ebola symptoms include severe headaches, fever, diarrhea, vomiting and muscle pain followed by internal and external bleeding and organ failure, and can show up between two and 21 days after contamination. There is no known cure for the disease. The woman returned to New Mexico from West Africa on August 4th and started to show symptoms last Friday. 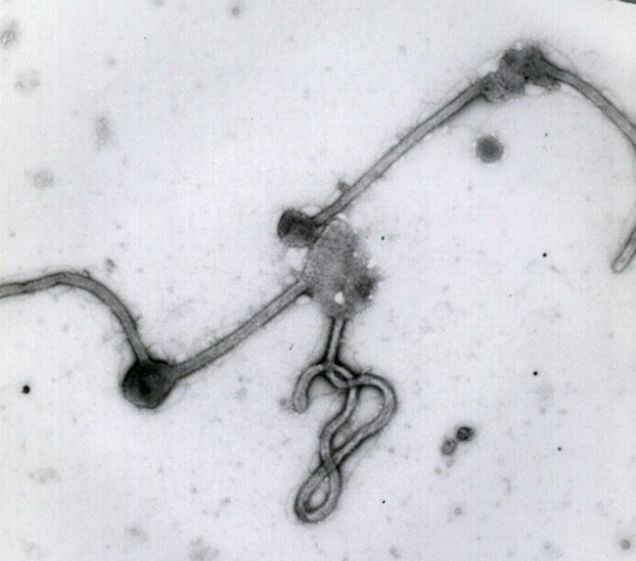 According to the CDC, the Ebola virus has so far killed over 1,100 people in Sierra Leone, Guinea, Liberia and Nigeria.